German suppliers Robert Bosch and Continental said they each plan to acquire 5 percent stakes in Here Technologies, a digital mapping company jointly controlled by BMW, Daimler and Audi. The suppliers and Here did not disclose purchase prices. The deal, which is subject to antitrust approvals, is expected to close by the end of the first quarter. BMW, Daimler and Audi acquired Here from Finnish telecoms group Nokia for 2.8 billion euros ($3.4 billion) in 2015, in part to avoid becoming dependent on third-party mapping providers such as Alphabet's Google, a competitor in the race to develop self-driving cars. Chipmaker Intel also holds a 15 percent stake. Germany's three leading premium automakers are investing billions of euros in electric cars and software-based mobility services as tightening emission rules and connectivity are transforming the auto industry. Here, which is based in the Netherlands, is helping automakers to develop high-definition maps to guide the first generation of self-driving vehicles. Each vehicle will upload data from its cameras and radar to the cloud, allowing Here to update its road maps in real time. Bosch said it aims to become a global supplier of maps to customers both inside and outside the auto industry. At the CES expo in Las Vegas this month, the company will showcase "smart city" technology that will link autos, individuals, homes and infrastructure. "Bosch is more than cars," Bosch Chairman Volkmar Denner said in a statement. "Industry 4.0, smart homes, and smart cities are rapidly growing areas of business for us, in which establishing and expanding data-based services will result in synergies with Here." Continental CEO Elmar Degenhart said digital maps and location-based services are key innovations for the future of connected mobility. "By leveraging Here's technology, we look forward to generating further profitable growth in mobility services and automated driving," he said in a statement. Software and electronics products are providing the strongest tailwind to growth at Continental which also makes fuel-injection systems and vehicle tires. Continental said it would also sign a collaboration agreement with Here to pave the way for technologies providing data for the efficient transportation of people and their goods. While Here is the top automotive mapmaker, Bosch is spreading its bets. 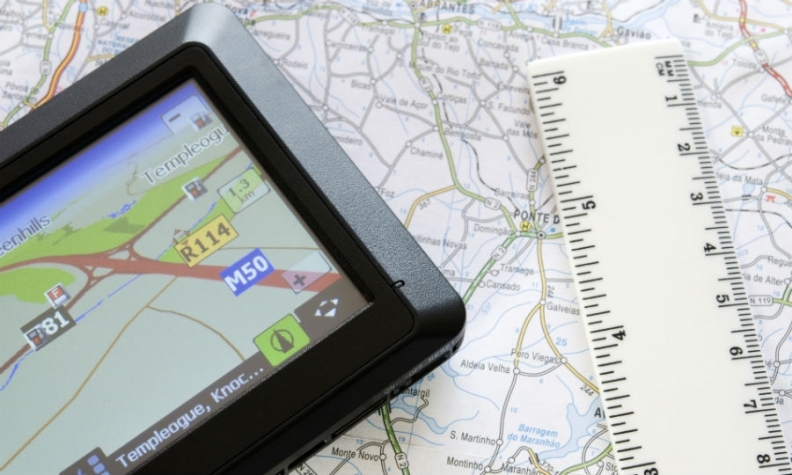 In June, it announced plans to work with Amsterdam-based mapmaker TomTom to develop high-resolution maps. Those maps will employ radar data uploaded from fleets of Bosch-equipped vehicles. Bosch expects to start collecting that data in 2020. Likewise, Here is working with a variety of partners. Last year, after buying a stake in Here, Intel announced that vehicles equipped with its Mobileye cameras would upload data to Here's maps. Will Here use Bosch radar data, too? "We are already in talks and specific negotiations not only with Here, but also with a range of market participants," said Bosch spokesman Tim Wieland in an e-mailed response. "We are unequivocally following the strategy of providing our technology to the whole market." A group of investors led by Chinese mapping firm Navinfo and internet giant Tencent in September cancelled a previously announced plan to buy 10 percent of Here, after failing to win U.S. approval.